Yesterday, when Prime Minister Abiy delivered a speech to the ‘members of the European Parliament’, he attacked the idea of freedom/liberty and liberation organizations called #Netsanet and #Netsaawuchi in Amharic. Why? A big question is, why is he really interested in this and who is the target he wants to attack, who is on his head when he attacks this idea? The OLF, OFC (with some exception), ONLF or TPLF (he attacks it only sometimes for political affairs indirectly)? As we all know, the main liberation organizations in the country are these, and the rest are mostly fake organizations. But if his government does not allow ( based on his speech, but didn’t disclose it)these organizations to participate in the upcoming #2020election, with their manifestation to liberate their nation from what they think, whether there was colonization or oppression, what democracy have they proposed? If they deny this idea of ​​being openly entertained and determined by the people, what will be the fate of politics in Ethiopia? If people do not have the menus on the table to choose or reject by secret ballot, what does it mean to open the political arena? Why is Abiy afraid of this idea? Who should decide, the EPRDF or the people? As we have seen, Abiy has been attacking the core values ​​of Oromo and #oromumma the day after his appointment as prime minister. We listened to him during his visit to Bahirdar and he even added: ” Do not see/ consider me like the other Oromo. I am not like them; the Oromo nationalism diminished the Oromo people to the village level… ” the translation is made by me and not word by word, I made it. what does this message convey? John Rawl argues that: whenever a society sets out to maximize the sum of intrinsic value or the net balance of the satisfaction of interests, it is liable to find that the denial of #liberty for some is justified in the name of this single end. Broadly speaking, liberty (Latin: Libertas) is the ability to do as one pleases. In politics, liberty consists of the social, political, and economic freedoms to which all community members are entitled. In philosophy, liberty involves free will as contrasted with determinism(Wikipedia). A central feature of liberal- democratic politics is the stress placed on notions of tolerance and the related idea that individuals should have the opportunity to frame and pursue their own goals, provided this does not impinge on other people’s formulation and pursuit goals. To the extent that this position is agnostic about the routes individuals may take to moral perfection, it has a general affinity with the position advanced by John Stuart Mill in his essay on #Liberty. It rests upon a largely secular conception of human well-being and entails the rejection of ‘moral objectivism’, or of the idea that is is possible to identify standards of conduct that correspond to human nature and provide the basis for conceptions of human perfectibility. Bottom line: whether Abiy likes it or not, whether he supports the #Oromoumma or Ethiopianism (the idea dreams of breaking the values ​​of #oromummaa and Oromo), nobody will stop the Oromos now-onward to determine their destiny! 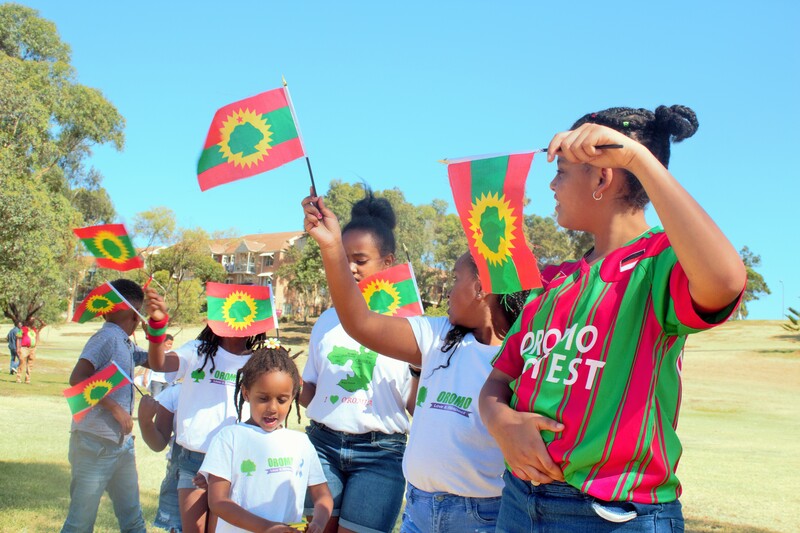 The Oromo struggles based on the following main pillars: #Oromumma (identity, language, culture and #abbaabiyuumma aka fighting for the father land) and this shall be realized very soon!